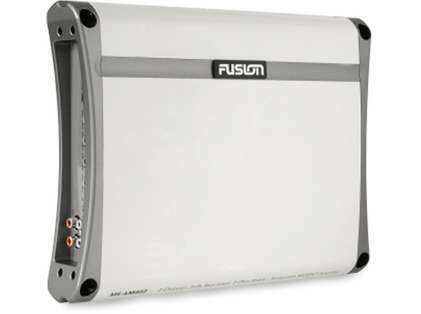 The Fusion MS-AM402 2-Channel 400W Marine Amplifier features a marine grade chassis, with heat sink technology, conformal coated circuitry, Class-AB design, and RCA line out. 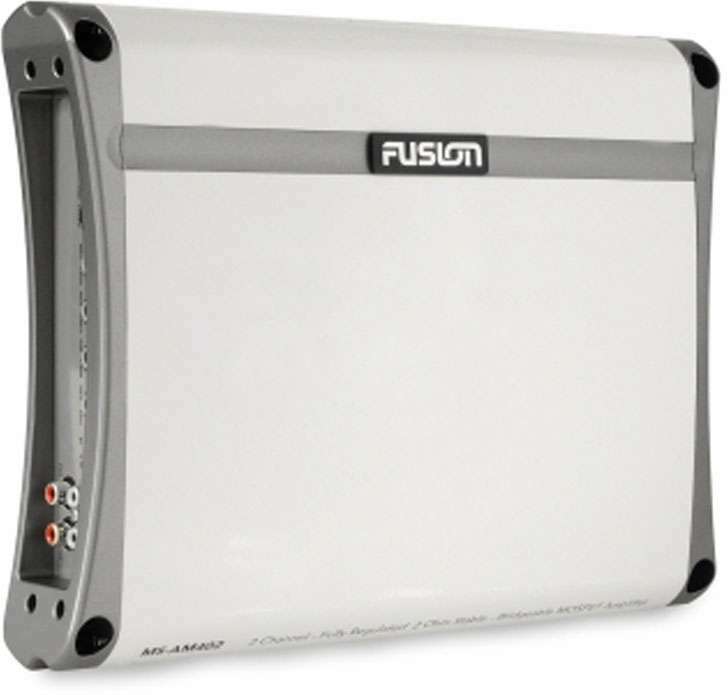 Able to power two speakers, a sub (bridged) or four speakers in parallel, the 400 Watt 2-Ohm stable (per channel) design ensures powerful and clean amplification of the input signal, plenty juice to power your party. The stainless steel bottom plate and end caps provide a gorgeous finish with added environmental protection. Advanced heat sink technology transfers troublesome heat more efficiently than other units and provides more thermal stability for maximum component reliability. The Conformal Coated Circuitry provides added protection from moisture and salt air, ensuring the amplifier has a long and useful like. The pass through RCA output allows for linking multiple amplifiers to enhance system performance.